Learn how Destination BC collects information to substantiate and support its research. The Net Promoter Score® measures customer experience and can be an indicator for business growth. Get started with NPS with this practical introduction. Over the past decade, there have been substantial shifts in the tourism marketplace that have resulted in the growing importance of the delivery of outstanding travel experiences. High satisfaction with travel experiences is critical to achieving increased visitor spending, longer stays, repeat visits and positive word of mouth referrals. And destination advocacy, either face-to-face or through electronic media, is critical in attracting first time visitors to British Columbia. A key goal of our strategy is for British Columbia to become the most highly recommended destination in North America. The Net Promoter Score or NPS, developed by Frederick Reichheld and Bain & Company in 2002, is a simple metric that can be used to measure the intention to recommend/refer a travel destination, organization or sector and is also an indicator of overall satisfaction with the travel or customer experience. Therefore, Destination BC actively encourages its tourism partners (e.g., businesses, communities, sectors) to measure and increase their NPS. To assist, two summary documents have been created. The Introduction to the Net Promoter Score is a document that provides an introduction to what the NPS is and how it is currently being used in the tourism industry. A summary of How to Measure Net Promoter Score in British Columbia Communities provides an overview of the details to consider at project initiation, how to determine the best visitor intercept methodology, discusses survey administrative tools, questionnaire development and how to complete the NPS calculation and recommended data analysis. Net Promoter and NPS are registered trademarks and Net Promoter Score and Net Promoter System are trademarks of Bain & Company, Satmetrix Systems and Fred Reichheld. Destination BC has developed a methodology that visitor centres can use to measure the impact of their services C on traveller behaviour, and to determine the economic benefit of the centre. To profile travellers, who use visitor centres, in terms of traveller and trip characteristics. To measure the influence the visitor centre has on the decision-making process of travellers in British Columbia–the influence the visitor centre has on the length of stay, expenditures, and selection of additional or alternative activities, attractions or destinations. On-site interviews gather information from travellers during their trip. Travellers that are interviewed are asked to participate in a follow-up survey completed after their trip. The purpose of the follow-up questionnaire is to gather data about trip motivation, planning, experiences and activities, to compare mid-trip and post trip perceptions regarding the visitor centre’s impact on traveller behaviour, and to understand travellers’ perceptions of the region and British Columbia upon trip completion. Explorer Quotient, also known as EQ, was developed by Destination Canada in partnership with Environics Research Group. EQ is a proprietary market segmentation system based on the science of psychographics. Rather than marketing to or developing products for travellers based on traditional segments, such as demographics (e.g., age, gender, income, etc.) and/or geography, EQ emphasizes the importance of traveller segmentation based on their psychological characteristics, such as their attitudes, beliefs, values, motivations, and behaviours. When various psychological characteristics are combined, different types of travellers emerge. These are known as Explorer Types. Nationally, EQ was developed as a means to align Canada’s tourism industry with collective marketing and product development for select Explorer Types. At a provincial or community level, its use allows tourism organizations and businesses to understand what drives people to travel to a destination and why different travellers seek out different experiences. How can BC tourism partners start using EQ? The Explorer Quotient is available, free of charge, to every British Columbian tourism organization. Interested BC tourism organizations can follow three easy steps to gain access to proprietary EQ resources. Contact Destination BC at TourismResearch@DestinationBC.ca to express interest in signing up as an EQ sub-licensee and provide the name of a contact person and contact information for your organization. Destination BC, upon confirming your organization’s eligibility, will provide the contact information to Destination Canada. Destination Canada will then provide your organization with a password to the EQ library and instructions on how to install the EQ quiz on your organization’s website, if so desired. Explore the fundamentals in An Introduction to Explorer Quotient, available in our Learning Centre. Learn how social and travel values influence travel choices and gain a deeper understanding of your customers. PRIZM is a segmentation system that categorizes each Canadian and US household into one of 68 consumer segments. The system defines consumers based on their neighbourhood (at the postal code or ZIP code level), allowing for more focused marketing efforts. It helps marketers understand their customers based on their behaviours, provides insights on how to appeal to them, and reveals how to reach them. In Canada, PRIZM is obtained from Environics Analytics, a Toronto-based marketing and analytical services company. What PRIZM cluster are you? Who are my customers? Through uploading past and existing customers’ postal/zip codes to the system, users can map the location of their customers to better understand who they are, where they are from, and what are the popular consumer (PRIZM) segments within these areas. What do my best customers look like? As PRIZM links a variety of consumer databases to each segment, users can gain additional ‘views’ of their customers based on demographic, psychographic, and lifestyle characteristics. These deep customer insights help profile and describe the customers so users can strategically create target groups (best customers). Where can I find my best customers? Once users identify who their best consumers are, how to describe them, and how to locate them, they can look at how best to reach and how to create messages that will resonate with them. In addition, by profiling their target customers, users can then identify where other similar behaving consumers also exist, discovering potentially untapped market opportunities. How can BC tourism businesses access PRIZM? Interested BC tourism organizations can contact Destination BC at TourismResearch@DestinationBC.ca to express interest in becoming a PRIZM sub-licensee and/or commissioning a PRIZM analysis. Destination BC’s research team will follow up to understand your business objectives and, based on capacity, recommend the most appropriate approach to fulfill the request. The cost of running PRIZM analysis depends on the quantity and quality of data input, as well as the type and complexity of analysis and reporting. As such, interested organizations are encouraged to contact Destination BC for a solution and quote customized to their individual request. What is the Value of Tourism Model? The Value of Tourism Model provides a conservative and credible estimate of visitor volume and direct tourism expenditures within a community. The Model tracks the tourism performance of a community and demonstrates the value of the tourism industry in a community to local partners, including government. Over 10 communities throughout the province have completed the model. Some communities run the model every one to three years for tracking purposes. a. Typically, monthly information of the previous year is collected. Entering the accommodation information into the model to generate estimates of visitor volume and direct tourism expenditures. Destination BC will run the model free of charge once there is an appropriate sample collected and will provide an honourarium to communities that produce a final report. Although there is no cost to use the model, it does require significant community resources for encouraging participation and follow-up of accommodation providers, etc. 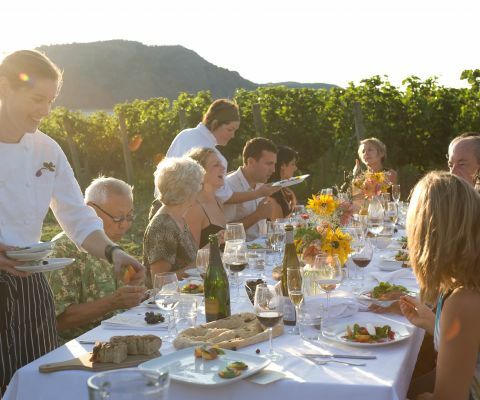 How can BC tourism partners start using the Value of Tourism Model? Review the Value of Tourism Model introduction sheet. Contact Tourismresearch@destinationbc.ca for additional information. What is the BC Tourism Economic Input-Output Model? This model will provide the British Columbia tourism industry a customized, consistent, and affordable method for estimating the economic impacts of tourism to demonstrate the value of tourism to partners. The model can also be used to determine visitor activity and spending or assist with tourism investment decisions. Determining the scope/parameters of what the economic model will include. Collecting all data for a pre-determined time-frame. Running the model to generate direct, indirect, and induced economic impacts. Destination BC has a number of pricing structures depending on your business needs. There is no cost to use the base model. However, the model requires significant resources in the planning and collecting stages to identify, fill information gaps, and encourage participation. How can BC tourism partners start using the BC Tourism Economic Input-Output Model? Review the BC Tourism Economic Input-Output Model information sheet. What is the BC Community Accommodation Survey? The BC Community Accommodation Survey is an online system created by Destination BC to efficiently collect and compile accommodation monthly trending data about community overnight stays including visitor origin, booking type, and booking channel. The survey provides BC communities with an affordable way to track and monitor visitor information. The survey encourages the partnership between the local tourism organization and accommodation operators. Communities and accommodation operators can use the summarized information for business planning purposes. In addition, each participating accommodation property has the ability to benchmark their performance using aggregated information about other properties in their community. Collecting an inventory of all fixed-roof accommodations in the community. Establishing a strong relationship between the local tourism organization and a representative number of accommodation operators. Receiving training on how to use the online system from Destination BC. Entering their past months’ information in the online system. Reviewing the automated and online monthly summary reports with partners. Access to this online system is free of charge with the signing of a memorandum of understanding between Destination BC and the local tourism organization. Providing feedback and making decisions to support the program. Liaising with accommodation operators to ensure a high level of participation and data quality. How can BC communities start using the accommodation survey? Review the BC Community Accommodation Survey information sheet. Reach out to accommodation operators to assess interest in the program. This guide provides an overview of project initiation and direction on how to determine the best visitor intercept methodology. The guide also discusses survey administrative tools, questionnaire development, how to complete the NPS calculation, and recommended data analysis. This guide explains why tourism research is important for tourism operators and provides direction on what type of information should and can be collected, how to conduct tourism research, how to process, analyze and evaluate research results, and where to get help.